American IRA provides self-directed IRA Services across the United States, and we’re always excited to tell potential clients what makes our company different. For over 30 years, CEO Jim Hitt has committed himself to the investing world in all of its various aspects. Since 1982, Jim has made the most of self-directed IRAs for his own investments, and he’s continues to devote himself to helping others maximize their self-directed IRA retirement funds. Jim has a knack for purchasing multiple asset types, including financing and acquiring real estate, private offerings, mortgage lending, joint ventures, and more. His creative techniques have allowed him to develop, own, and manage everything from single family homes to million dollar businesses. American IRA’s self-directed IRA services also include educational materials and presentations that teach you how to use your self-directed IRA or 401k to earn tax-free income. 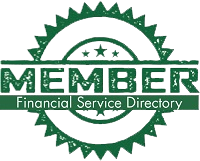 Sean McKay is another valuable member of the team, and he greatly enhances our self-directed IRA services as well. Sean has been investing in real estate for the past 10 years, and he even serves on the Board of Directors for Metrolina REIA, a non-profit organization that provides an avenue for real estate investors to learn and network amongst themselves. Sean especially enjoys the educational component of his work with our clients. American IRA aims to simplify the processes associated with our self-directed IRA services as much as possible. Setting up or transferring IRA accounts has now been reduced to six simple steps, and we’ll gladly assist you every step of the way. From walking you through account funding to requesting payment authorization forms and depositing income generated from your assets into your self-directed IRA, we aim to make the self-directed experience as investor-friendly as possible! If you have any questions about opening a new account, contact us at 1-866-7500-IRA(472) or info@americanira.com. If you’d like to transfer your existing portfolio, contact us at 1-866-7500-IRA(472) or transactions@americanira.com. American IRA, LLC thanks Holly Calabro from the TREIA Publicity Committee for writing that great article about our recent self-directed IRA real estate seminar. Holly’s enthusiasm is contagious as she talks about the wealth of investment possibilities available when people self-direct their IRAs allowing them to invest in trust deeds and mortgage notes, rental property, condos, raw land, lease options, gold and silver, joint ventures, promissory notes, LLC shares, and tax liens. “Is this permitted or not? This is an excellent question that often comes up. The distinction here is a property that is owned by an IRA and a property that is owned directly by an individual. It is true that a property owned inside an IRA belongs to the IRA and the IRA account holder cannot provide any labor for that residence, act as a realtor, or be a property manager. When she goes on to say “No earned income to qualify for an IRA? Make yourself the property manager for your own properties, collect a small income, and qualify.”, she is calling out a distinction here. In this case, she is saying that the individual purchases a property on their own with non-IRA funds because they do not have an IRA established. She is then suggesting that that individual take the money they earn and contribute it to an IRA so that they can use that IRA to purchase future properties. For those that missed this seminar…the entire event was professionally video taped and will be available by year end through the American IRA website at a great price. Of course, American IRA clients always receive educational materials at discounted rates, so if anyone is thinking about opening an account, this is a great time to get started. American IRA, LLC-a national self-directed IRA provider, announces e-signature is now available for their forms! Clients may now complete their forms online and sign those forms online via the American IRA website…no need to print, scan or fax! *Legal, Tested & Trusted: Fully compliant with the Federal ESIGN Act, UETA, and the Electronic Commerce Directive, EchoSign provides protection for both the sender and the signer during the signing process including key authentication and privacy, fraud protection, and consumer disclosure. *EchoSign is secure: All communications sent through EchoSign are encrypted with full 256-bit SSL security, passwords and sensitive account data are encrypted with RSA keys, and their servers are housed in SAAS 70 Type II secured facilities with full redundancy. *Best practices and improved performance: Contracts can be signed within minutes. Sean McKay, Senior VP of American IRA, LLC-a national self-directed IRA provider-announces a new ‘Real Estate Markets: Memphis Tennessee‘ webinar on August 22nd. This webinar will educate individuals on the opportunity to “Self Direct” their retirement accounts. Attendees will quickly realize that self directed IRA’s and Solo 401(k)s are an increasingly popular concept for those that want to invest in assets such as single family homes, condo’s, townhouses, and so much more! This is a joint webinar with the President of Memphis Cashflow, Hulet Gregory. Memphis Cashflow is a real estate investment firm that will educate attendees on the Memphis market conditions and real estate investment strategies. This will be a great opportunity to learn about Self Directed IRA’s/401k’s as well as the Memphis real estate market. Look forward to seeing everyone there! Self-directed IRAs too Good to be True? Is this dead on or dead wrong? Jim Hitt, CEO of American IRA-national self-directed IRA provider responds to the USA Today article “Investing: Are self-directed IRAs too good to be true?” Jim Hitt says, “You Decide,” isn’t that what America is all about? The article says “Just because you can do something doesn’t mean that you should. You may be capable of cross-breeding trout with electric eels, for example but you probably shouldn’t”. Cross-breeding trout with electric eels might not be a good idea but cross-breeding donkey’s with horses resulted in a new breed…mules. Mules are sure-footed, hardy, and calmer than horses and less stubborn and smarter than donkeys. Benjamin Franklin experimented with a kite and lighting and this experiment began our understanding of electricity. There are many examples in history of ‘experiments’ that resulted in the modernizations and life improvements that everyone now enjoys. David G. is a client of American IRA who grew a Roth IRA from $6,800 to $293,000 in five short years. This success was achieved by David’s continuous prospecting and tireless advertising along with some very carefully done due diligence. With great work came great success in David’s case. As the USA Today article says “You can put many types of investments in self-directed IRAs.” There are very few restrictions on the types of investments allowed in a self-directed IRA. A self-directed IRA account can invest in a variety of assets such as real estate, private lending, limited liability companies, precious metals and much more! As a self-directed IRA administrator they are a neutral third party. They do not make any recommendations to any person or entity associated with investments of any type (including financial representatives, investment promoters or companies, or employees, agents or representatives associated with these firms ). They are not responsible for and are not bound by any statements, representations, warranties or agreements made by any such person or entity and do not provide any recommendation on the quality profitability or reputability of any investment, individual or company. The term “they” refers to American IRA, located in Asheville, NC. Home Values Are On The Rise With More People Looking At Real Estate As An Investment Again. Jim Hitt Speaks About Self-Directed Real Estate IRA Investing And The Upturn. Home values are on the rise with more people looking at real estate as an investment again. Jim Hitt speaks about self-directed real estate IRA investing and the upturn. There has been a significant increase in the number of real estate transactions in the American IRA office. USA Today reports that “Home values have turned the corner.” American IRA, LLC has noticed a definite increase in the amount of real estate it’s clients are purchasing…a sure sign that the housing market truly has turned the corner. Second-quarter data showed annual increases in home values in nearly one-third of the metropolitan areas that it tracks, or 53 of 167, as reported in the USA Today article, “Home values have turned the corner, Zillow says” “The window of opportunity is still open but closed slightly. Investing in real estate is still a tremendous value and if you haven’t considered it, it may be time to look at it now.”, says Jim Hitt . Regardless as to why the upturn in the housing market has occurred it is a much needed long overdue positive sign for the economy. Jim Hitt, CEO of American IRA-a national self-directed IRA provider, shares information regarding the use of the Crowdfunding exemption in the JOBS Act. The North American Securities Administrators Association (NASAA) have issued an important warning investors should be aware of in relation to crowdfunding. The NASAA is concerned with the threat of potential con artists, claiming to be crowdfunding brokers or to represent online portals through which future deals must be conducted. “Be aware of unscrupulous persons offering to take fees from you now to help you raise capital over the Internet,” the alert reads. The offers could be a scam because the law has not been implemented yet, said regulators. Most crowdfunding is done via the internet via websites such as Kickstarter, Circleup, and Fundable. This is an interesting funding approach that has launched many start up companies of varying success levels. The key with this as with any investment is for people to do their due diligence before investing their hard earned money. American IRA, LLC Announces the Opening of Its Atlanta, GA Self-Directed IRA Training Center! Our Atlanta location will be the venue for numerous training events throughout the year. There will be training for both current clients and those interested in learning more about self-directed IRAs and/or American IRA, LLC. The training will be offered via seminars and classes. The American IRA staff will host private training for groups upon request tailored to the needs of each particular group. Training will cover all levels from self-directed IRA beginners, intermediate, advanced, and creative techniques. We already have interested parties requesting training at this location for their groups and welcome anyone that is interested in training to contact the American IRA, LLC office with their request. Watch our events page for upcoming training opportunities or sign up for our educational e-mail list.